Jump They Say: France; Arista, 74321136964; 1993. Card slip-case with picture front and purple side and rear panels. Track list on rear panel. ‘Manufactured by Capitol Records’. The rear cover has a barcode and ‘Arista’, ‘Savage’ and ‘BMG’ logos. 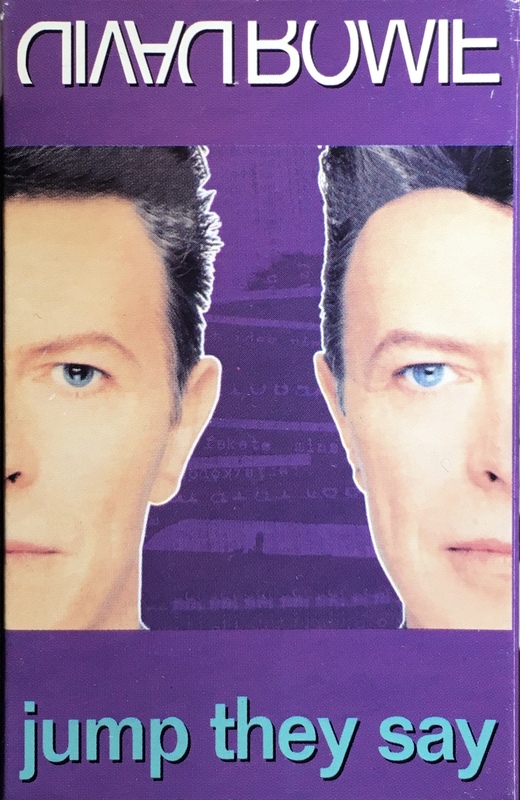 This cassette came housed in a plastic long box. 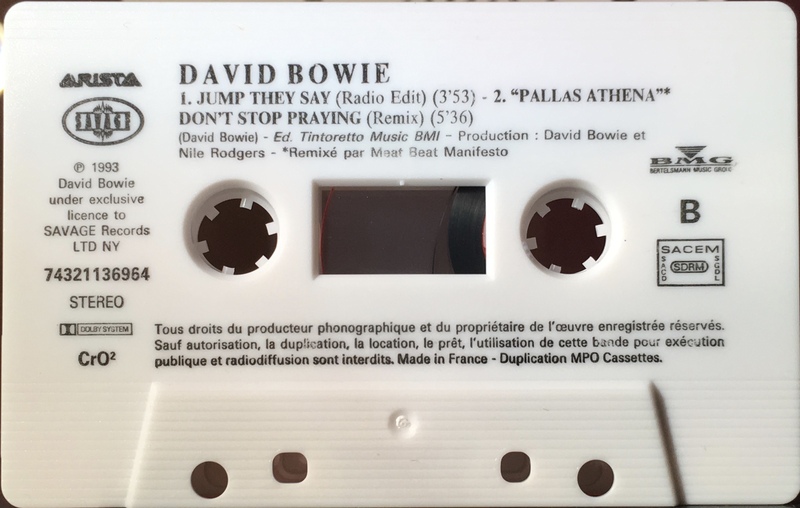 Black ink printed directly onto white shell and CrO2 tape, with SACEM rights and ‘Arista’, ‘Savage’ and ‘BMG’ logos. ‘Remixé par Meat Beat Manifesto’ for ‘Pallas Athena’. 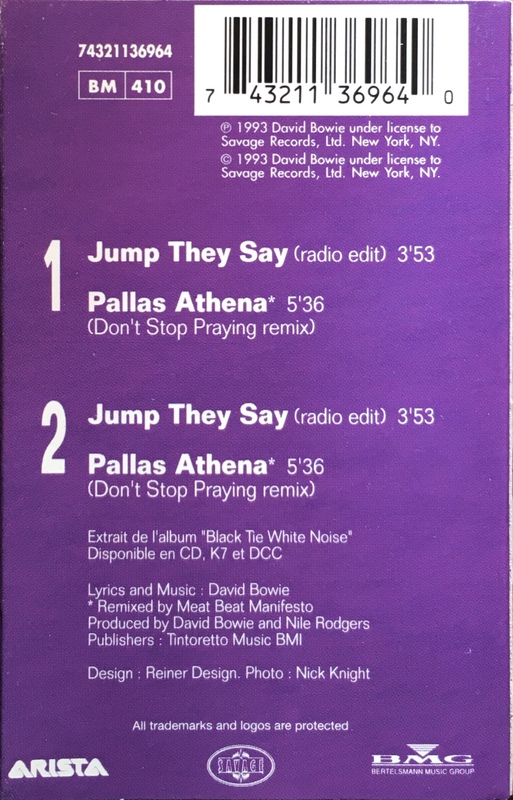 Side 1: Jump They Say (radio edit)(3:53); Pallas Athena (Don’t Stop Praying remix)(5:36). 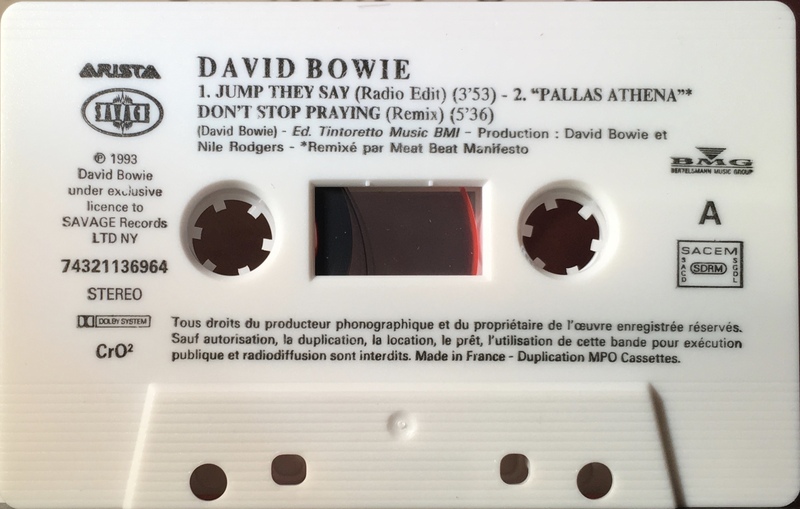 Side 2: Jump They Say (radio edit)(3:53); Pallas Athena (Don’t Stop Praying remix)(5:36).